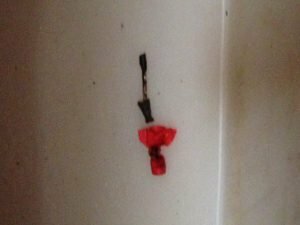 In this article I talk about what it means to have a “broken neutral”, explain a bad electrical splice or connection, and discuss the problems that these conditions can cause. I have two examples of this that I needed to address recently; one in the form of a question from my Facebook fan page, and one that I had to troubleshoot and repair myself, here at our summer home in Alberta. From what Heather told me, and after reading the last sentence of her question, I was quite certain that the problem was a broken neutral. There should not be voltage on the neutral bar. The neutral wires are called the “grounded conductors”, and at the main panel, neutral and the ground are bonded together so using an electrical meter or a voltage tester of some type, you should never see a potential difference from neutral to ground. With a few questions back and forth, and the fact that this wasn’t the only electrical problem they were having, the power company was called because all indications pointed to a neutral problem, and likely in the meter base, or at the power supply because more than one circuit was being affected. I advised her to shut off all the breakers in the home as having an open neutral can cause all sorts of problems, especially if some of the 240V loads are turned on or activated. 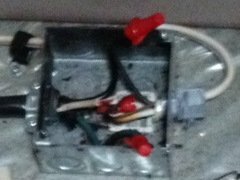 When you have a broken neutral situation, especially at the supply, you can get all kinds of undesirable situations that can cause appliances to get fed with voltages ranging from zero to 240V. As you can imagine, an appliance rated for 120V getting supplied with up to two times what it is designed for, the result is usually what we call, “letting the smoke out” of the appliance. Check out my website for another question I answered on the subject of a broken neutral. 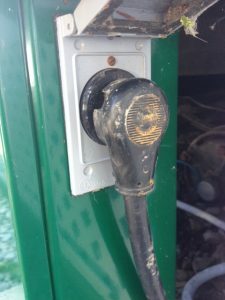 Earlier the month, our park manager her at Carefree Resort on Gleniffer Lake came by to ask me if I would have a quick look at an electrical problem they were having at one of the RV sites. The breaker wasn’t tripped, the neighboring sites were all okay, but the RV had no AC power, and the batteries in the unit were running low. 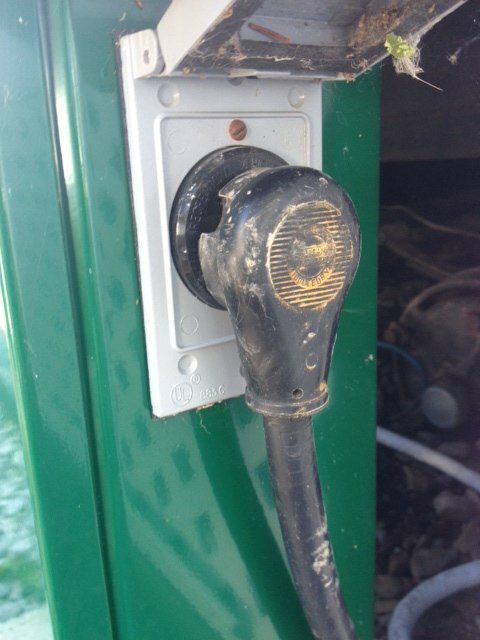 Upon arrival, the first thing I checked was the 30A, 120V RV receptacle at the pedestal supplying the unit. Everything was as it should be there – 120V reading from hot to neutral, hot to ground, and nothing reading from neutral to ground. The cord looked good as well; no discoloration, and no visible signs of heat damage from a failing or failed connection. Next I opened up the small electrical panel in the unit, and I checked from hot to ground. The result was 120V, yet nothing using 120V AC power was functioning in the unit, including the 12V converter / charger unit, thus the failing battery power. However, checking from hot to neutral I had nothing. This meant the problem must be a break in the neutral path somewhere between the panel and the pedestal. The main power supply cable at the panel was an NMD-90, #10/2 (with ground) romex or loomex cable with solid conductors. The cable from the pedestal entering the unit is typical RV supply cable of #10/3 flexible portable equipment cable with stranded conductors. 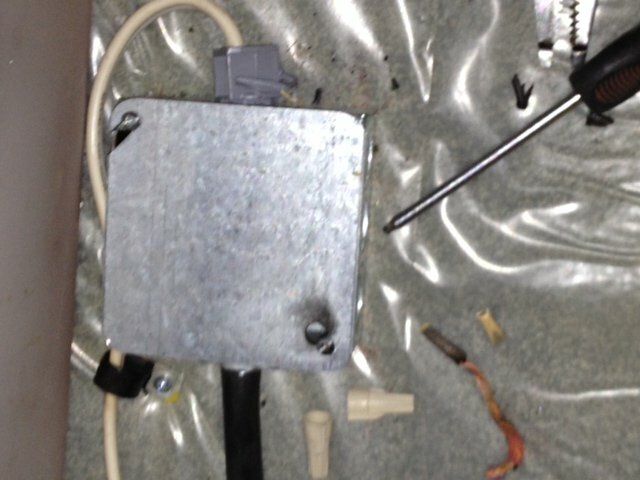 The junction box was under a bed in the rear corner of the RV, under a pile of spare blankets, bedding, and towels. Good kindling material for starting a fire. Once I got to the junction box, the source of the problem was obvious. I could see signs of sparking and smoke damage around the mounting hole for the cover plate. This is a great example of why we must contain any splices, connections, or device outlets in an approved junction box. In this particular situation, without a junction box containing the problem, a fire was almost certain. Before even touching the box to investigate, I shut off the supply at the pedestal! When I opened the box, I found the remains of the wire connector melted off, and the neutral wire black and crispy back a few inches from the failed splice. Luckily the way the cable was routed into the box I could have gained enough slack to redo the connection, but I was able to cut back all the damaged conductor and insulation to make a proper connection inside the junction box without re-routing and re-terminating all the connections. We restored the power and everything was back functioning correctly. So why did this happen? I suspect that from the factory the person that made this splice didn’t do it properly. It can happen quite easily, especially when spicing a solid conductor to a stranded one. 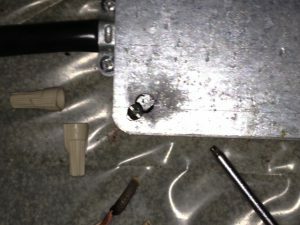 The tendency is that if you’re not careful, the wire nut will only grab the solid conductor, and as you twist the connector tight, it pushes the stranded conductor out of the connection. You may have caught a few strands in the wire connector, or maybe none at all, but the wires are still touching the solid conductor and everything will work. However, with time, and with current flow, eventually the connection will fail. With a poor connection with high resistance, the more current that flows through that resistance creating heat. The more heat, the more resistance, and the resulting snowball effect can result in a failed connection, and definitely a danger of fire. When making splices, keep this in mind. Always make sure that the wire connector catches all the conductors evenly, and that it tightens down firmly. Then do the tug test. Pull on each conductor individually to see if you can pull them out of the wire nut. An electrical splice should be as mechanically strong and as electrically sound as the original conductor, so pulling on two sides of a splice should be no easier to pull apart than it would be to break the wire in two by pulling on it. This entry was posted in Troubleshooting, Wiring-Videos and tagged bad splice, broken neutral, faulty splice, neutral, poor connections, splice, wiring hazard. Bookmark the permalink.